Buying a home or any property is not a regular phenomenon of one’s life. A buyer with an average income has to plan and shell out a considerable amount of his savings accumulated over the years. 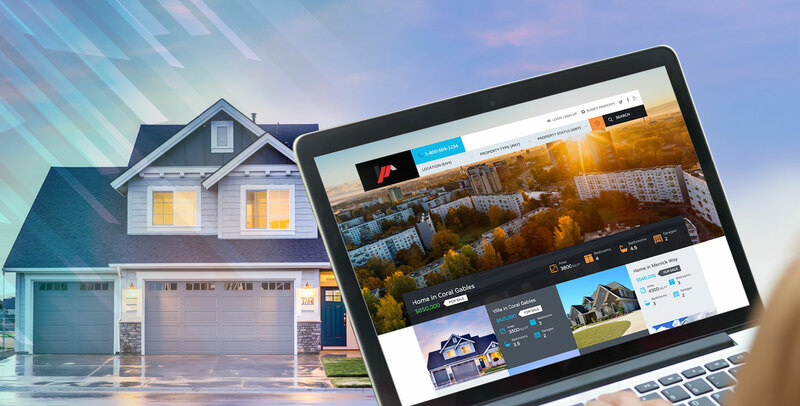 So, it’s definite that it will take a lot of effort to create a real estate website that can drive consumers to take intended action. The first impression could be the last one. Hence, make sure the website has an impressive look and appearance that make it stand out from the millions of websites on the Web. It will make prospects or buyers stop by and explore your listings. To make things look incredibly amazing, hire an experienced UI-UX designers who are well-versed with the latest designing tools and software. Make it easy for buyers to search for properties that interest them the most. Let them search by locality or zip code, listing age (old/new), built area, type of home (Duplex/Villa/Apartment), number of bedrooms or bathrooms and so on. You should also consider the option of showing listings by verified/unverified sellers. A powerful search connects your users to their dream home. Home buyers want a quick understanding of the market. So, make things simpler for them. Let them see market trends in new listings, price changes, etc. on the homepage of your website. While hiring a real estate website developer or outsourcing your project, to convey the requirement to your developer. To ease and speed up the property hunt for your buyers consider integrating a map like Google Maps to your website. To augment the accessibility, make the search options work with maps also similar to this real estate website that has been created by Drupal website development team at Root Info Solutions. It will also guide interested buyers to locate the physical property to have a better understanding of it. So, it makes the user-engagement to move from the virtual world to the real world and increases the conversion probability. This will make the web visitors access properties listed with different MLS services providers. So, making it easier for you to engage users. Though the proprietary control of a listing stays with the agents or brokers who create it, it helps in revitalizing your business. You can collaborate with other agents and share the commissions on the purchase made. It creates a win-win strategy for all realtors and adds to the customer experience as they can find a relevant property. Wondering what MLS is? Or how RETS MLS Benefits Real Estate Brokers, Sellers, and Buyers? Find your answer here. Ask your MLS website developer to use the latest web development frameworks for utilizing modules and themes contributed by trusted users. If you hire an experienced developer with four to five years of experience, you can expect him or her to create a custom module for you. Take malware scanning services from trusted vendors like McAfee or AVG, it will keep your website safe and secure, and the respective logo boos the trust of users in your brand. Get a trusted certificate from reputed vendors like TRUSTe. All these aspects will help you protect the data or users and generate trust in users. Thus, they will not hesitate while sharing any of their personal information on your website. Budget is everybody’s concern. Integrate a calculator with your website to be of more help to your users. By offering more and more services at one place, you can retain users on your website and make them take an informed decision. Make users connect with you seamlessly. Currently, no tool can equate the quality of user-engagement that a chatbot provides. Chatbots can be simple to deal with structured data that one can easily create with non-coding chatbot builder platforms; however, to make an edge consider harnessing the power of AI (Artificial Intelligence) and NLP (Natural Language Processing) hiring an advanced chatbot developer. Thus, depending upon your requirements, the chatbot development cost might vary. To be on edge, enable Voice-based search or make the entire website accessible with a voice command. As more and more users are resorting to mobile-based search, consider integrating your app with Siri, Google Now or Cortana. The purchase decision of a buyer is mainly influenced by the reviews or ratings offered by your existing customers. They might have chosen or choose different platforms or channels to voice their experience with your business. It’s not rational to provide space for the ratings offered through all channels, but you shall consider roping in one or two that are most trusted. Make it easier for users to reach out to your sales or customer service desk whenever the need arises at their end. Be ready to respond to them at your earliest. It not just helps you reach your business goals - conversion, but makes people trust in you. NEXT POST How To Develop a Social Media App?